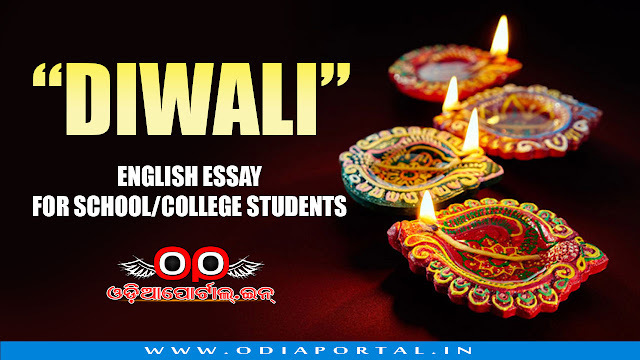 Introduction: Diwali is the festival of lamps. It is also known as Depavali. It is a Hindu festival, Generally, it falls in the month of October. But the exact date varies from year to year. Diwali celebrates the home-coming of Rama after he had defeated the demon king Ravana. Celebration: Diwali is an occasion for great rejoicing. In the morning of the Diwali day every family is busy since very early in the morning. People put on new clothes. Visit are exchanged between friends and relations. Gifts are given and taken. In the evening rows of earthen lamps are lit on every house-front. On this day, prayers for success and prosperity are offered to Lakshmi, the goddess of wealth. Conclusion: Diwali is a very amusing festival. Some people attach scientific value to this occasion. They say that the harmful worms and insects are destroyed in the lamps burning. Really we saw that a large number of worms were dying in the lamps, at every spot of celebration. But were they really harmful ?